Love Hair - Boutique Hair Salon Located in Central Hong Kong. Love Hair is a boutique hair salon located in Central Hong Kong that specializes in healthier, more natural products. With creativity and innovation in the industry leading their efforts, Love Hair strives to ensure the health and happiness of each client’s hair needs. The salon is an environmentally conscious business, looking to minimize their carbon footprint in any way possible. Love Hair will be recycling, utilizing locally filtered water and serving clients with safer, more natural products. With eco flooring, reclaimed wood shelving and screens, stepping into the salon takes you to a peaceful, relaxing environment. Founder and head stylist Toni was working at an acclaimed salon in Hong Kong before deciding it was time to take the leap and open a salon of her own in central Hong Kong. 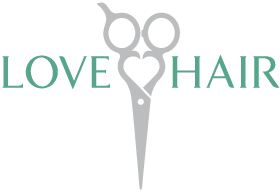 Love Hair’s team is comprised of stylists from England, New Zealand, Australia and Hong Kong. The team is a passionate group with decades of combined experience, servicing high-end clients all over the world. We have a range of products available for purchase in store. They include ranges from Kevin Murphy, John Masters, GHD and Bhave. We offer a range of services including, cut, blow dry, colouring, styling, treatments, make-up services and wedding hair. Please see our pricelist for details. We are located at: 1F, 99F Wellington Street, Central, Hong Kong. If you would like to book an appointment, please feel free to drop by, or give us a call.